So without further a due visit this link at any time to view my performance and follow the blog, my goal is to outperform the S&P 500 on a risk adjusted basis over the long term. 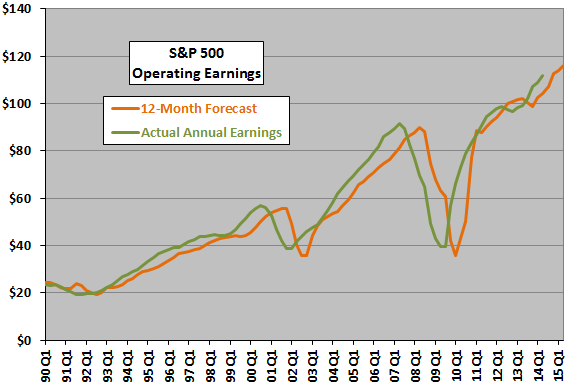 Let us look at how well people forecast 1yr forward operating earnings. The average forecast error is -2% with a large -17.9% std deviation. You can see that people don’t forecast trend changes too well. According to the S&P website the forecast operating earnings for 31 Dec 2015 is $131.01 which is a 14% increase on the preliminary 09/30/2014 actual of $114.51. So what does all this mean, what is my point? It is actually quite simple. I am trying to illustrate that people capitalizing a naive 1 yr forward earnings into perpetuity which has a notorious empirical history of being highly variable, is likely to have a devastating butterfly effect. 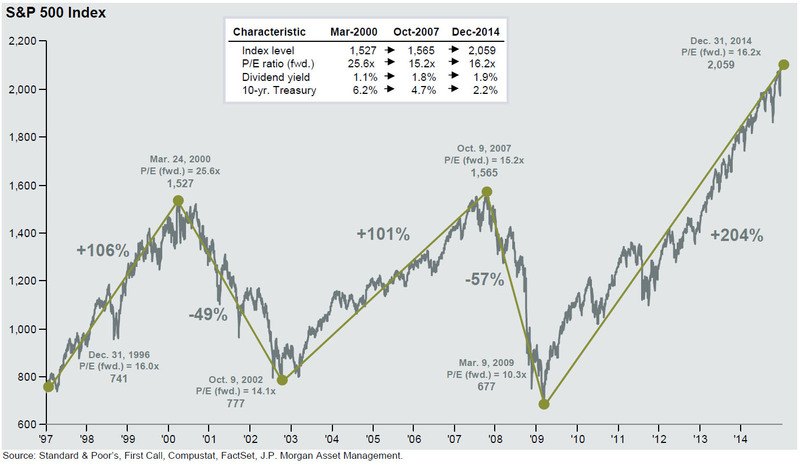 This entry was posted in Investments and tagged butterfly effect, CAPE, chaos theory, shiller pe. Bookmark the permalink.